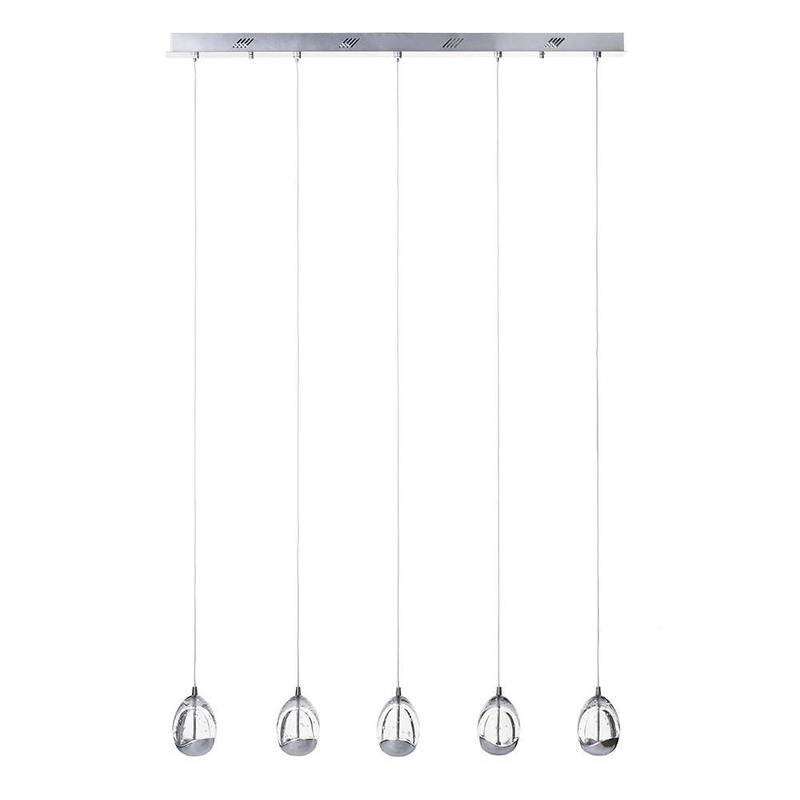 This Bulla 5 light pendant bar ceiling light from the gorgeous Visconte range will bring contemporary LED lighting to your home. 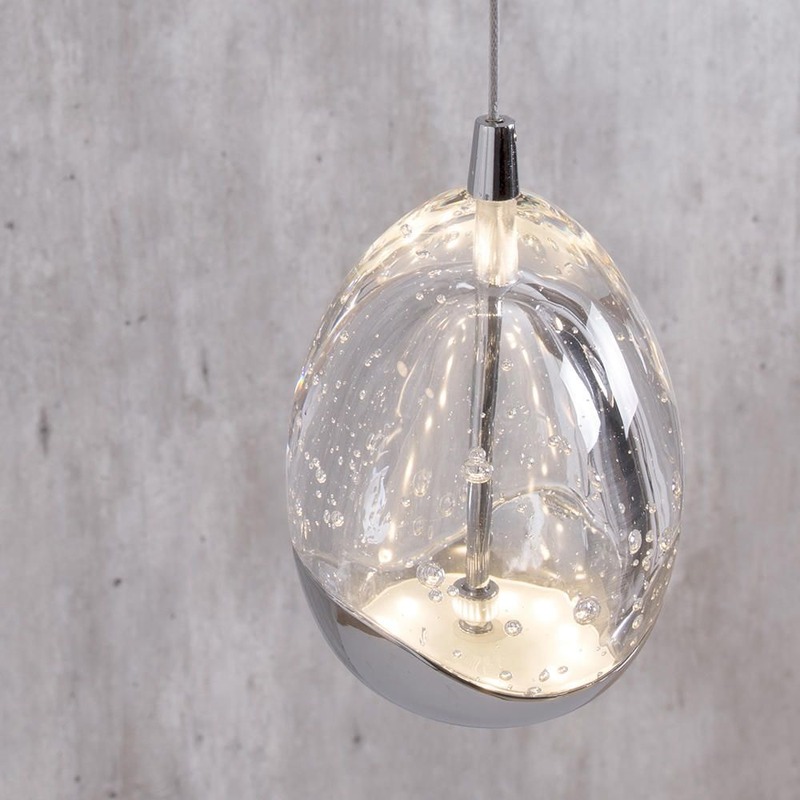 The revolutionary design features a chic and stylish design combined with the latest in integrated, energy-saving LED lights that provide a bright, warm white glow. 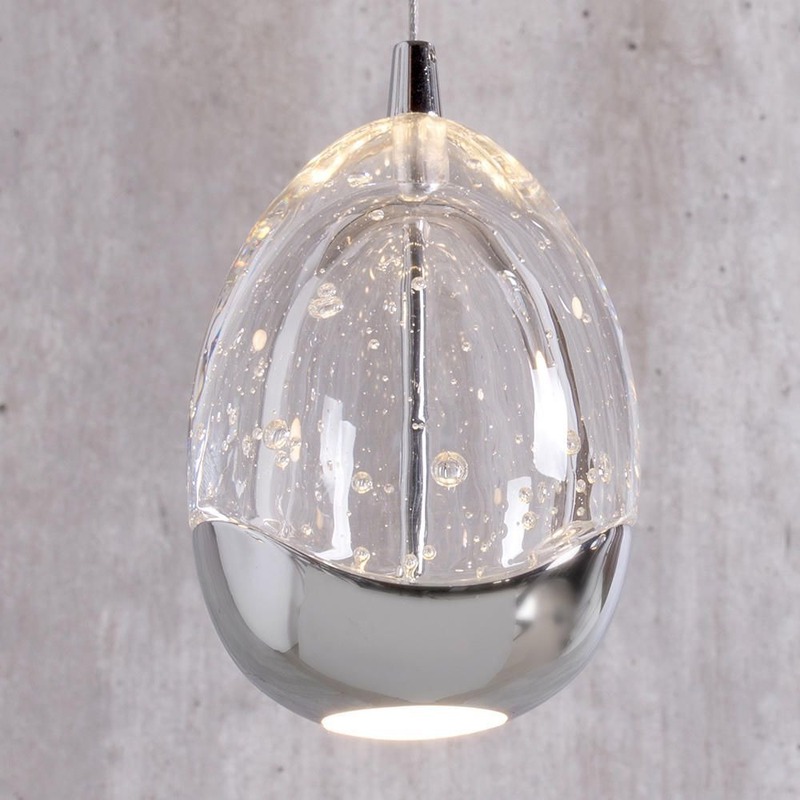 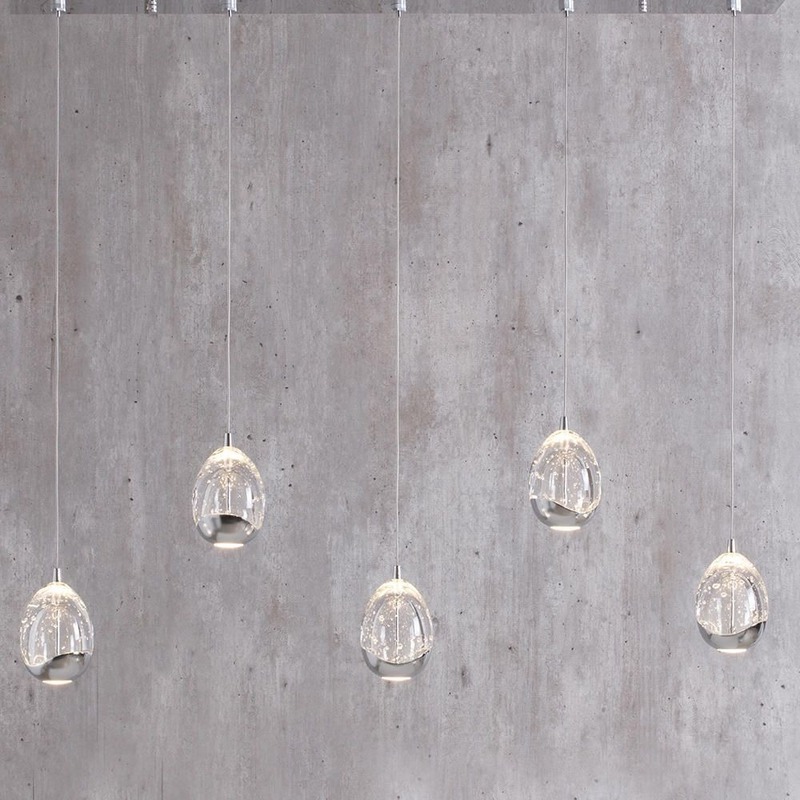 Five bubble-effect glass bauble shades are suspended from a sleek polished chrome ceiling plate. 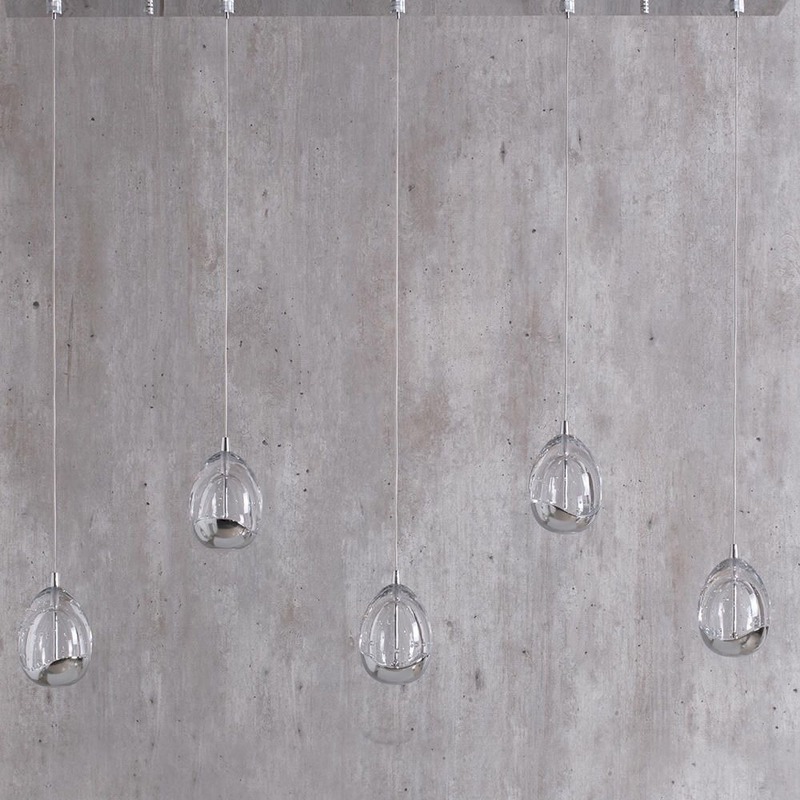 Each pendant has a fully adjustable drop, so you can adapt the height of this ceiling light to suit your room. 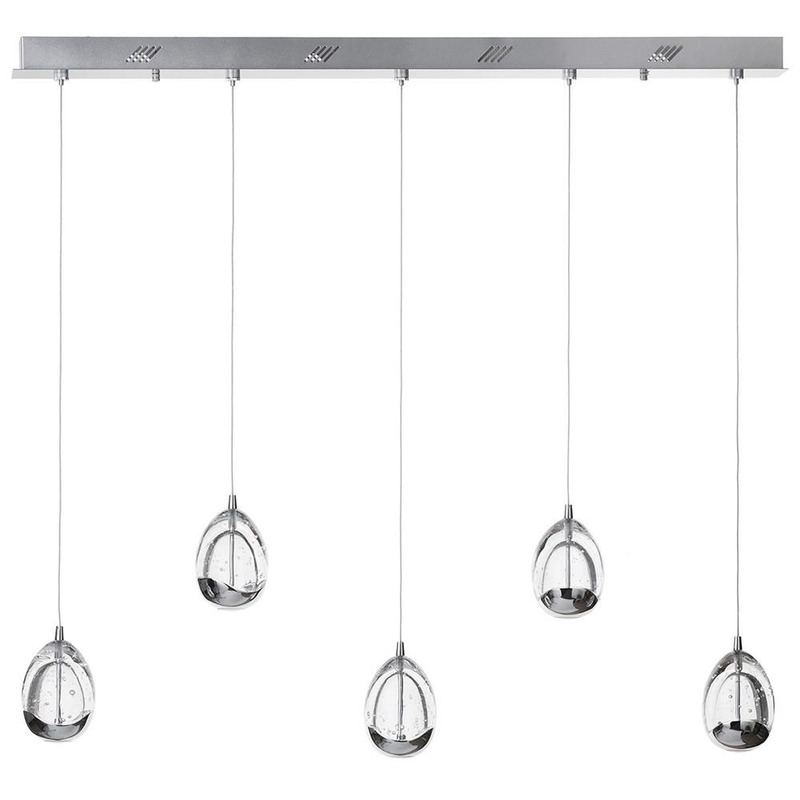 The Bulla 5 light pendant bar will create a stunning statement when hung above a kitchen or dining room table.